The caring and experienced professionals at Emmick Family Funeral & Cremation Services are here to support you through this difficult time. We offer a range of personalized services to suit your family’s wishes and requirements. You can count on us to help you plan a personal, lasting tribute to your loved one. And we’ll carefully guide you through the many decisions that must be made during this challenging time. Craig started helping families deal with the death of their loved ones in 1975. He has been a licensed Funeral Director and Embalmer in Washington State since 1982. Craig has worked in Seattle's finest family-owned funeral homes, almost all of which are now corporately owned. Craig is a past-president of the King County Funeral Directors Association, a member of the Danish Brotherhood in America Lodge #29, and the Lions Club of West Seattle. He is also a Notary for the State of Washington. Craig earned his Bachelor of Science degree in Physical Education with a minor in Biology from Washington State University, and an Associate of Arts degree in Funeral Service Education from Mt. Hood Community College in Gresham, OR. He has completed post-graduate work to obtain a teaching certificate, and is a lifetime substitute for the State of Washington. 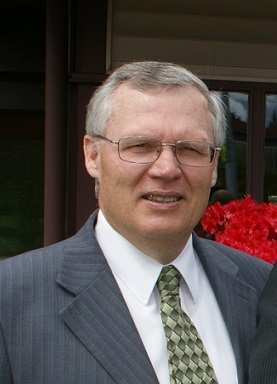 Craig also teaches part-time in the Funeral Service Education program at Lake Washington Institute of Technology in Kirkland. Craig is married and has two sons. His wife is an RN at Harborview Medical Center. His oldest son is a lawyer in the DC area, and his younger son is a licensed funeral director and embalmer. Michael is Craig's youngest son and has been working with his father in the funeral profession since he was in high school. Michael is a lifelong resident of West Seattle and a graduate of West Seattle High School. Michael served his 2 year funeral director/embalmer apprenticeship at the former Howden Kennedy Funeral Home of West Seattle. Recently, Michael finished his mortuary college courses and has been a licensed Funeral Director and Embalmer since 2014. Shortly after receiving his licenses, Michael, along side his father, decided to open their own funeral home in order to serve our community better. Michael is past Vice-President of the West Seattle Hi Yu Festival, a board member of the West Seattle Lions Club, Danish Brotherhood Lodge #29, and is also is very active with the West Seattle Chamber of Commerce. You will see Michael every summer in the West Seattle Grand Parade with the WS Lions Club. Michael and his father both love giving back to the community in which they live and serve. Most funeral homes and cemeteries in the region have been sold to multi-national corporations. By being a local, family owned business, We cater to your needs with a personal touch. Our service mission is never compromised by accountability to far-off stockholders, we’re accountable to you. We provide your family with the highest level of quality service at a fair, honest price that your loved one deserves. We understand this and support the idea that you do not have to spend a great deal of money to properly remember a loved one. The Emmick Family has deep roots in West Seattle and decades of experience serving local families. Craig and his wife, Gayle grew up in the White Center/Burien area and raised their two sons, Matthew & Michael in West Seattle. 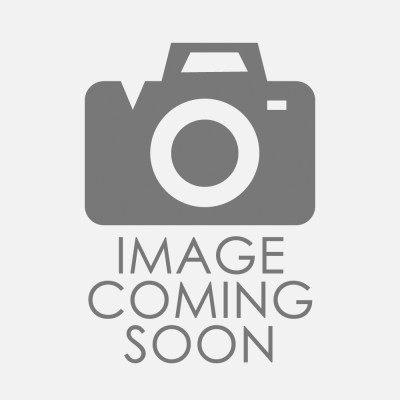 Craig has been a licensed Funeral Director & Embalmer for over 30 years working in Seattle and West Seattle area funeral homes. Recently, his son Michael completed his apprenticeship and college mortuary science courses and is now a licensed Funeral Director & Embalmer as well. Emmick Family Funeral Services also believes that attitudes and customs are changing regarding end of life services. From simple, basic cremation to full traditional, celebration of life funeral services, We can accommodate all wishes and requests. Today families are presented with more choices than ever before when it’s time to select a burial or cremation provider. 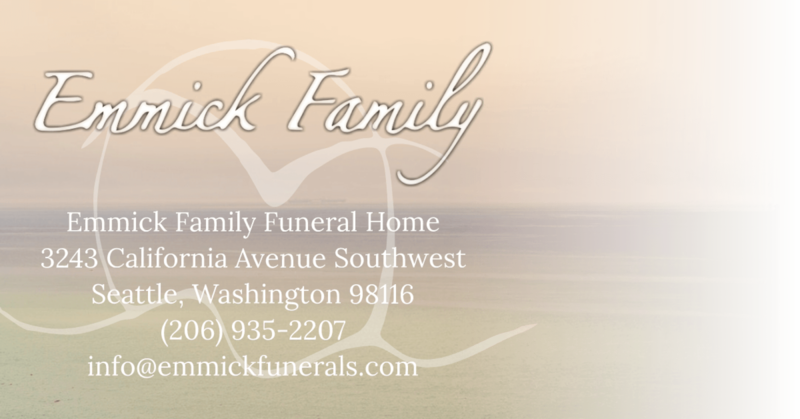 It won’t take more than a few minutes to understand why Emmick Family Funeral Services is different … and better than the alternatives. We invite inquiry and comparison to any provider in the state of Washington.